Searching for answers to life's hard questions. Like, "what's that smell?" You know there are chips in the cupboard. Delicious chips. So crispy and flavourful. You should probably share them with the other five members of your family, but four of them are in bed and one is out for a bike ride. Wondering what to do? Wonder no more! Here’s your Guide to Eating Chips Like a Spy. 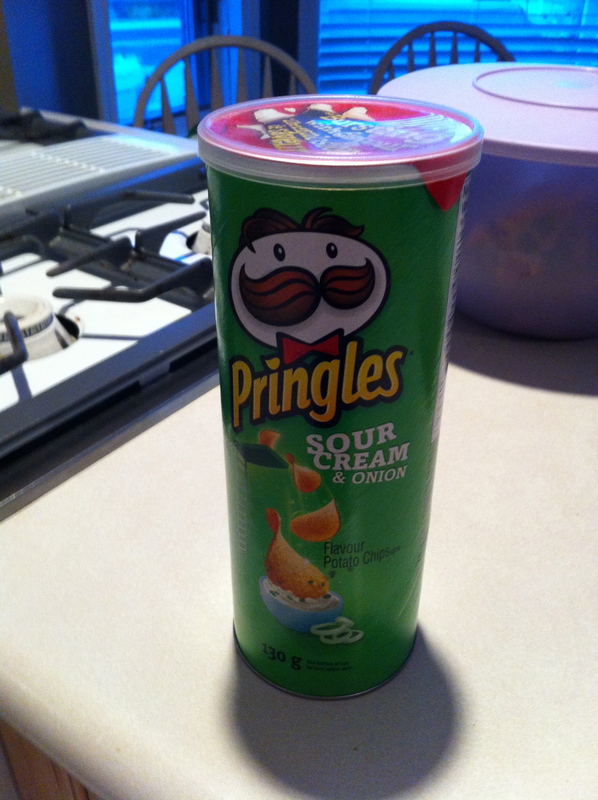 Step 1: Select your salty snack (I recommend Sour Cream and Onion, but the choice is yours). Be warned: you cannot pull off this mission with a bag of chips. 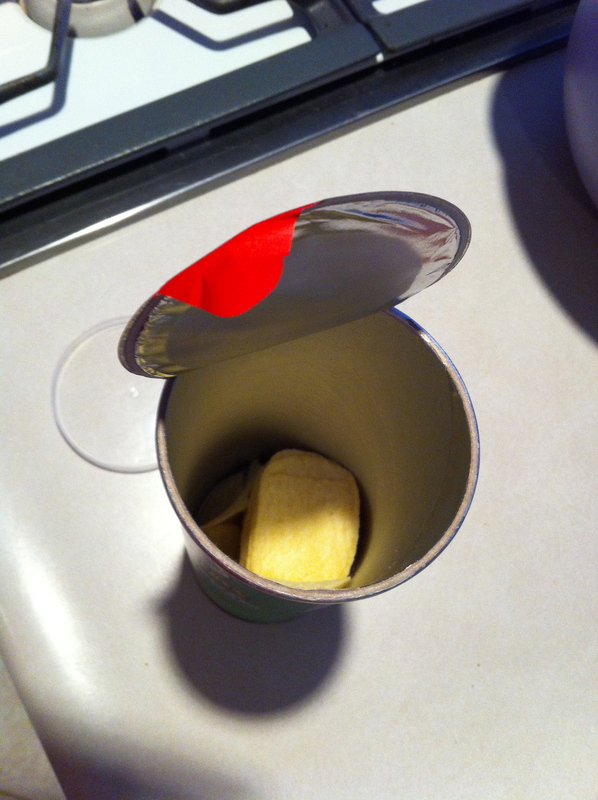 Spies only eat chips in a can. 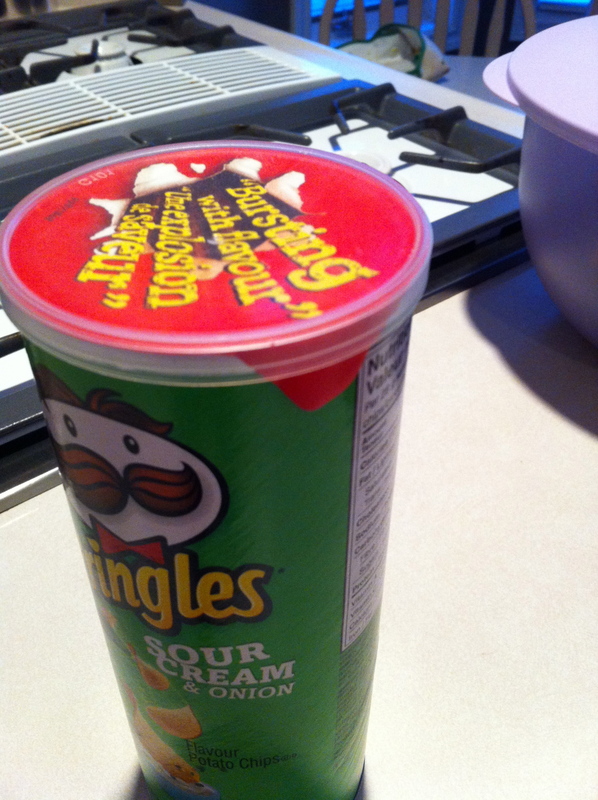 Brand of choice: Pringles. Step 2. Do NOT remove the safety seal. This is KEY, just peel it back far enough to fit your hand. Seal removed = mission thwarted. Step 4: Do not, do NOT finish all the chips. Leave some in the can. This provides you with plausibly deniability. Step 5: Keep in mind that this technique should be used sparingly, or someone will catch on. Save it for desperate times or special celebrations, like emptying the dishwasher and finding no rejects. What snack tricks do you have? Be honest, I know you have one. No, Really, What’s That Smell? © Janice Moyer and Tough Bananas, 2013. Unauthorized use and/or duplication of this material without express and written permission from this blog’s author and/or owner is strictly prohibited. Excerpts and links may be used, provided that full and clear credit is given to Jan Moyer and Tough Bananas with appropriate and specific direction to the original content. Tough Bananas Create a free website or blog at WordPress.com.